Sculpting geometry with Maya with the Soft Modification tool. 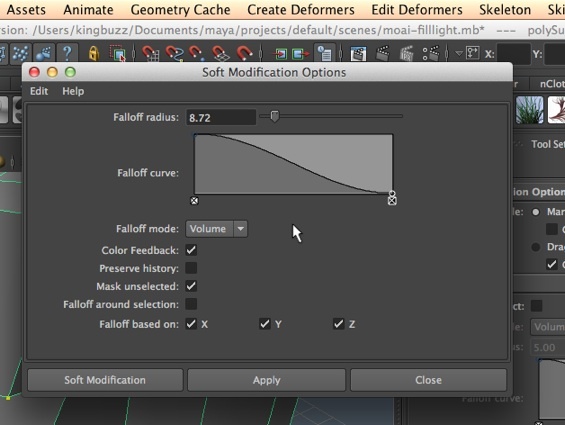 In the video tutorials on 3DbyBuzz, we look at the Sculpt Geometry tool in Maya. It is a key tool for folks who want to have that sense of crafting an object in a direct, hands-on fashion, almost like you are working with clay. This is an important issue, today, as more and more animators move toward Pixologic ZBrush and Autodesk Mudbox – both of which offer an organic sculpting capability for crafting models. Many animators are creating their characters in one of these applications and then importing them into Maya for refinement, applying materials, and then animating. ZBrush is more popular and more powerful, and offers a Maya plugin. Mudbox, as it is a companion product to Maya, has a built in workflow that allows the modeler to move smoothly between the two applications. While the Sculpt Geometry tool, which uses a painting metaphor and can be used with polygon, subdivision, and NURBS models, is very popular, there is another tool in Maya that is also quite powerful. It shares something with the Sculpt Geometry tool, and with another tool that we have looked at in the video tutorials, the Soft Selection Tool: the Soft Modification tool can be carefully tuned to have a drop off effect on geometry surrounding the point of application of the tool. 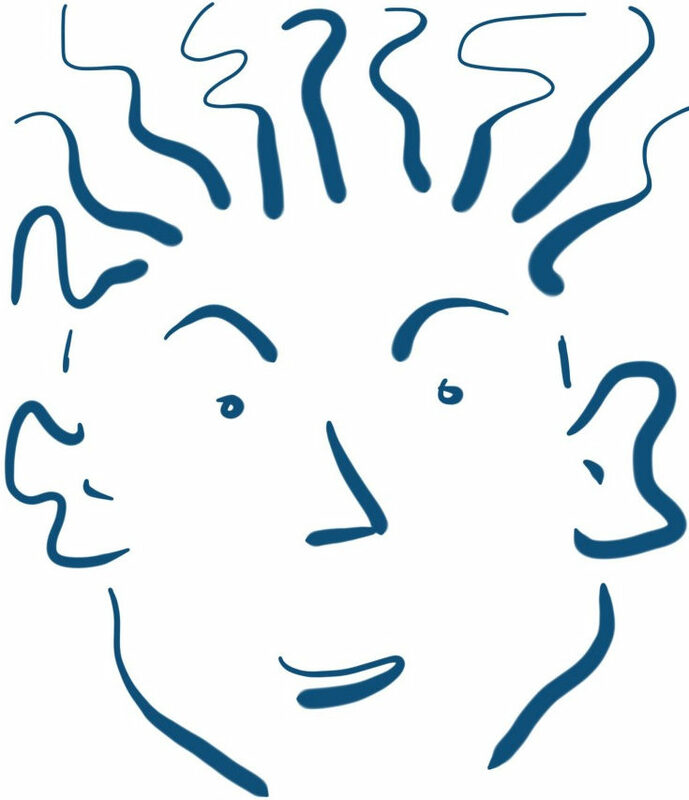 (The Soft Selection tool is also covered in 3DbyBuzz. Note that the top slider controls the falloff radius. 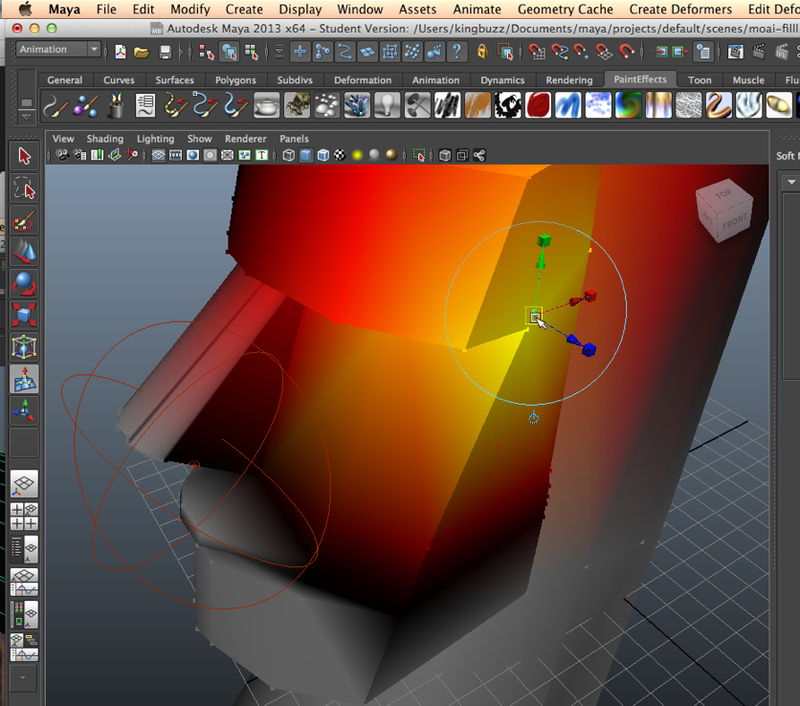 Below, we see what happens when we right click, go into Object mode, and select the Moai model we have used in the tutorials and in this blog. It does the same thing that the Soft Select tool does, using a rainbox of colors to tell us how far outward the tool will have an effect. It is important to note that the tool needs to have a very low setting on the slider in order to make your modifications localized. 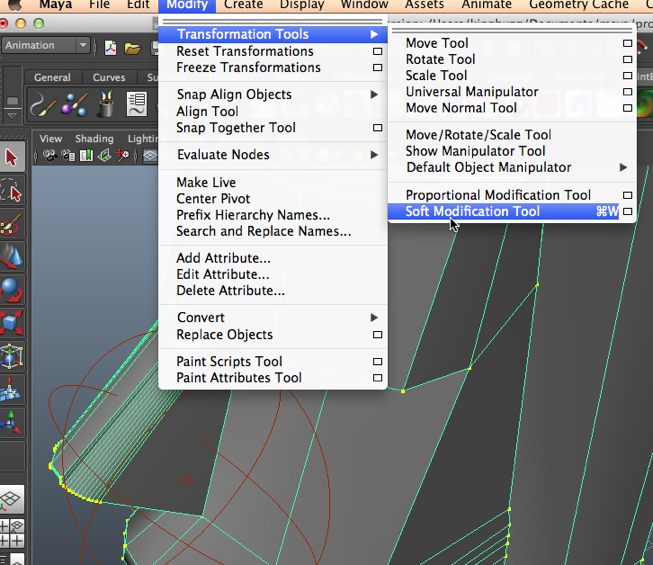 Previous postUsing Maya expressions and variables to animate models. Next postUsing the Penumbra and Dropoff settings on a Maya spotlight.